It’s all in the salt. Halotherapy (or dry salt therapy) is a natural, drug-free treatment with a slew of health benefits, from improving skin conditions to aiding breathing problems. And there’s more than one way to soak up some salt. 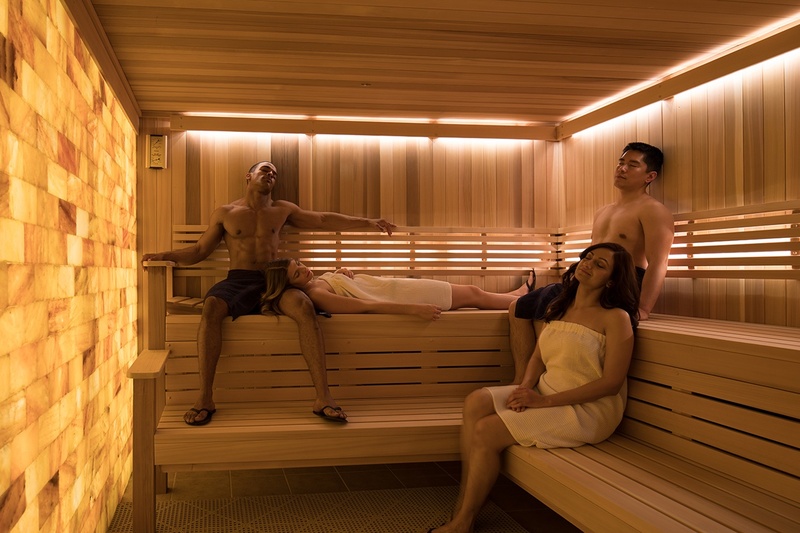 The hot, dry heat and low humidity of the sauna warm the body quickly and promote perspiration, which cools the body down and allows the body to flush toxins. Sauna heat increases the heart rate, which mimics exercise to soothe and relax the muscles, easing aches and pains in muscles and joints. The resulting relaxation effect may induce a deeper sleep and help lower stress in the body. 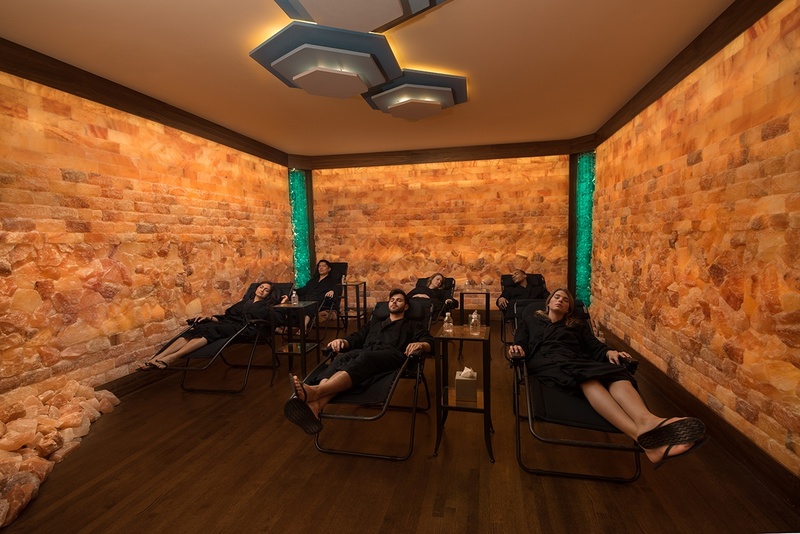 At G2O Spa + Salon, the sauna includes its own Himalayan Salt Wall. Warmed Himalayan salt emits negative ions into the air. These negative ions help to balance and ground the energy in the environment by balancing the positive ions produced by electronic devices and general toxins in the air, as well as creating a beautifully lit environment. Man-made salt caves are making a splash in the spa world. The walls of the Salt Cave at G2O use pure Himalayan salt stones. The softly lit oasis is equipped with a halogenerator which heats, crushes, and disperses micro-particles of salt into the air. Breathing in this air allows the salt to absorb allergens and toxins to cleanse and detoxify the respiratory tract. The cave regulates air flow, humidity, and temperature, creating a negative ion environment for positive vibes, similar to a beach or mountain setting. Salt is also naturally anti-inflammatory and anti-bacterial, which may provide relief for sinus pressure, asthma, and bronchitis. Salt’s stress-releasing qualities are on full display with the Flotation Pod at G2O. Using a quiet, sensory deprivation atmosphere, flotation therapy simulates a weightless environment, which allows the body to completely relax while floating on top of an Epsom salt and water solution. This helps the spine decompress, improves circulation, and calms the nervous and muscular systems. This helps the brain enter a state associated with deep sleep and dreaming. 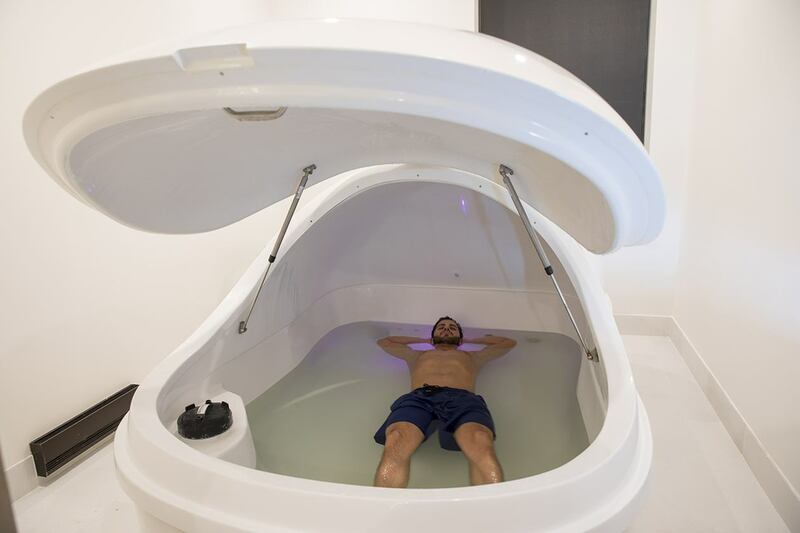 Balancing the brain’s function, flotation therapy can offer a clear head and sense of post-pod peace. It also provides soothing benefits to skin conditions, such as eczema and psoriasis. 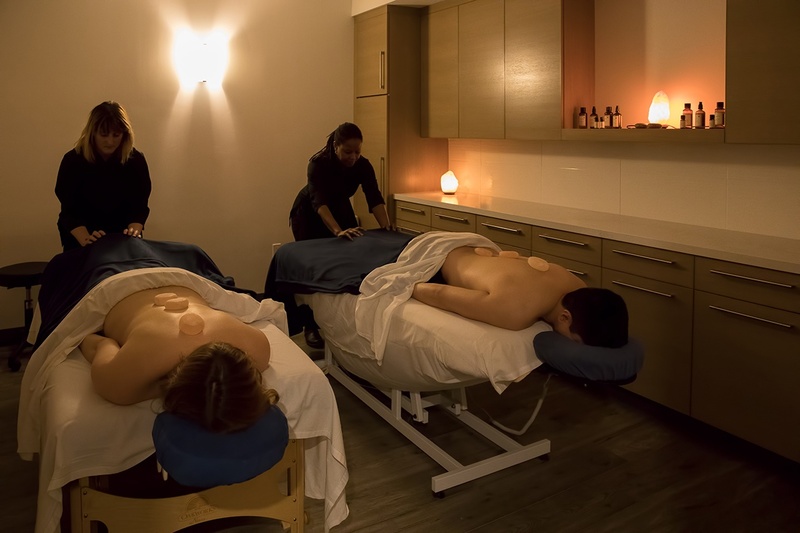 So, whether you’re trying to decongest, destress, or soothe your skin, salt spa therapy just might be the cure this summer. For more information about salt treatments and services at G2O Spa + Salon, visit g2ospasalon.com.